Three cheers for Year 6! Pictured with Cllr Coleman (and a special Manna House-themed cake!) 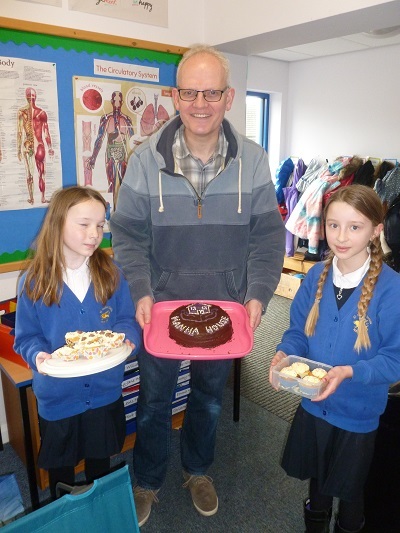 are Laura Child and Emma Holme from Year 6 who first came up with the idea of raising money for Manna House.